Chair No.1 is a minimalist chair designed for contemporary residential and commercial environments. The simple, three-leg chair is constructed from solid ash hardwood with a quarter-inch thick laminated leather seat pad. The gentle arc of the hardwood arms paired with the warmth of natural leather make for an inviting seat at a local cafe or communal dining table. 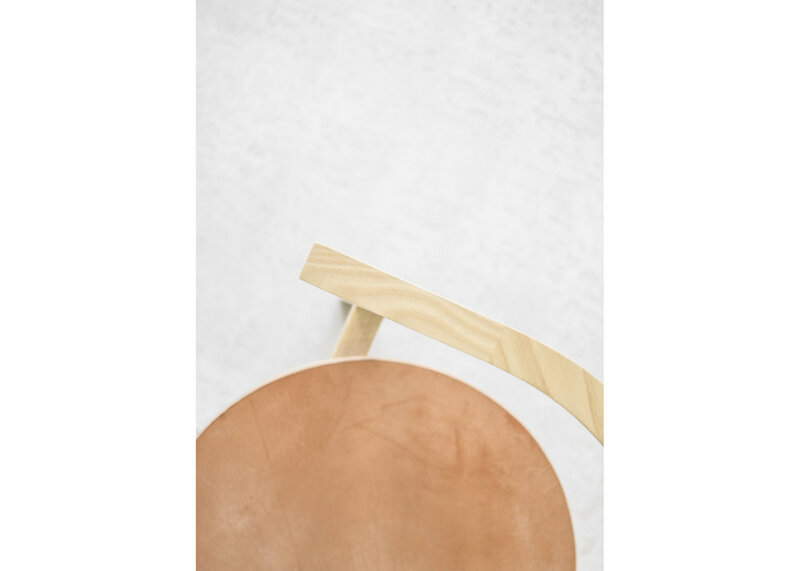 Chair No.1’s lightweight appearance allows it to fit well in a variety of environments and since it is made from natural materials it will age gracefully over time. Contact us for pricing on this chair for your residential or commercial project.